Emma came to us through the humane agents of Elkhart, Indiana. She was abandoned by her owners after she started having accidents in the house. She had accidents because the owners ‘loved her so much’ they constantly fed her into a state of immobility and morbid obesity. 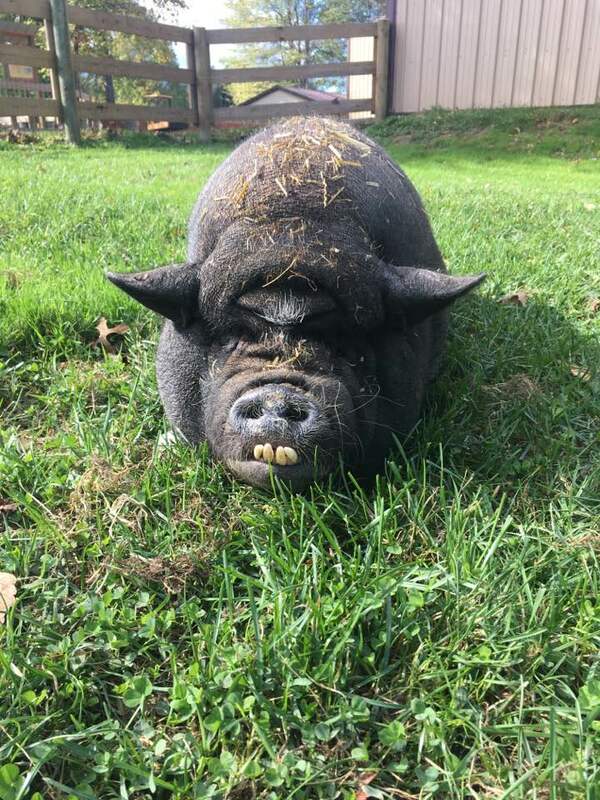 Emma has been evaluated at OSU, she is spayed and her hooves have been trimmed and she has been given a clean bill of health to start her journey back to being a happy piggy. She will need a diet of appropriate food and treats with a little time, and she should be able to recover.